These soundproofed alcoves provide comfortable sanctuaries for conducting private calls and video chats. Our team is here for you throughout the workweek, from front-desk service to personalized support. Stay caffeinated throughout the day with an infinite stream of freshly roasted coffee. This exquisitely furnished and highly prestigious corporate business installation is a key provider of high end and luxury corporate workspace solutions for professional requirements across any industry or commercial background. Offering a wide range of excellent services and on-site facilities as standard for all occupying tenants, this center is the ideal working environemnt for productivity and efficiency. From workshops to thought-leader panels and cheese tastings, our programming helps you nurture a strong team culture. The heart-and-soul of our locations, these lounges are living-room-style spaces designed for creativity, comfort, and productivity. Beyond this centers hallmark offerings like front-desk service, unique conference rooms, and cozy lounges, your team will enjoy access to onsite showers and bike storage. The building is also canine cool, so feel free to bring your favorite four-legged friend. Breathtaking views that stretch from Elliot Bay across to the Cascade Mountains are available from this collaborative and commercially significant workspace in a tower building in the heart of Downtown Seattle. Ideal for any business from start-ups to major corporations looking for an alternative to traditional office space. The center's proximity to a multitude of transport links makes it an ideal location for commuters. Rental suites based in this vibrant Seattle district with easy freeway and rail access via the Amtrak available. The commuter also has Ferry access via the State Terminal if needed. The centre takes on 4 floors in his state of the art tower. The offices offer the professional many amenities including onsite fitness centre. Offices to let at this vibrant location close to downtown and the Sheraton Hotel. The convention centre and the waterfront are just a few minutes’ away. These offices offer great Mountain views and are located in a Banking centre. Many shops and restaurants available. Convenient freeway and other transport access, this business centre is based at Fifth Avenue Plaza. The office is located on the top floors providing spectacular views of Lake Washington, and Mount Baker. Executive suites situated at 7th Ave and Olive Way offering access to the I-5 freeway and to the Courthouse. This centre is close to the Convention Centre and to nearby shopping amenities. The building has a great onsite canteen. These offices are based in a high spec building offering great views and many amenities. High speed network access, mail and parking facilities. Conferencing facilities along with admin support also available. Please enquire about our Virtual Office packages. This business centre opening soon is located in a prime area of Bellevue. The space itself is very flexible and offers both private offices and co-working space at a good rate. With on-site meeting room access and support from a reliable administration team what more could you need? The centre easily found by car just off Highway 405. The centre doesn't offer direct parking but you'll find a public parking lot only two-minutes away from the workspace on foot. Situated in the West Lake Union these executive suites provide unobstructed views of the lake and are surrounded by a host of technology businesses. Access to the center of Seattle is quick and easy as the area is well-serviced by public transport. The office space at Lake Union has Environmental Protection Agency recognition for energy efficiency and is widely renowned as a commercially significant corporate establishment. 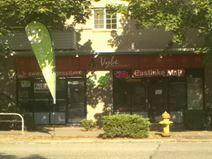 A stunning centre situated in a fantastic area of Seattle, surrounded by other commercial entities. Offices are available on flexible terms at affordable rates. Tenants here can benefit from the super fast internet connection, welcoming front desk service, spacious meeting rooms and 24-hour access. The location is also perfect as it brings forth a wide range of local amenities including restaurants, cafes and bars. Accessibility is also a key function - with plenty of road, rail and air links available nearby. Ideally situated between the University District and downtown Seattle, this commercially-focused and community-rich neighbourhood is home to this fantastic range of exceptional and exquisitely furnished co-working office space with a multitude of highly desirable amenities available to prospective tenants on-site as standard. The locality features a number of highly convenient and frequent transport services. This center enjoys a breathtaking setting on the Seattle waterfront, with stunning views of Puget Sound and Olympic Mountain. The center is a popular focus for corporate conferences and meetings, and is moments away from the Port of Seattle Offices, as well as many other amenities. Also easily accessible via I-5. With a range of private office space, co-working , meeting or event space, this historic building can be found in the Pioneer Square Historic District of Downtown Seattle only one block from the Ferry Terminal. The locality's multitude of convenient transportation services and travel infrastructure make the center itself easily accessible from the furthest reaches of the region and ideal for all travelling clients. Centrally situated in the heart of the CBD, this centre offers underground parking, a fitness center and more. This business center offers premium executive office suites, along with a full range of business support services. Offering great panoramic views across Seattle, this center would suit a range of business types and sizes. Clients have access to all of our support services, which include mail forwarding and sending, telephone answering, voicemail, copy center, fax, courier, word processing and other administrative services. Just a short drive to Tacoma and Seattle, this business park includes a host of amenities, such as admin support, the latest in internet technology and communication telephony. Friendly support staff onsite when needed. The regional transport links are also excellent and provide all prospective tenants with an extensive selection of convenient and frequent travel options across numerous extensive road and rail networks. Ballard, the north Seattle neighborhood is becoming an increasingly trendy district in which to do business and is home to a growing brewing industry. Easily accessible from Downtown Seattle these modern executive suites and open plan office space provides beautiful views of Lake Washington Ship Canal and the mountains. The regional transport services are also highly convenient an make the center easily accessible for all. This center offers spectacular views over Puget Sound. 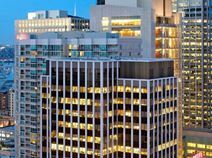 Set in an iconic Seattle skyscraper, this center provides a prestige business address and a comfortable and efficient work environment. This fantastic business center benefits from numerous nearby amenities and has great access to trains, buses, ferries and road network. A deep-water port and international airport make it a gateway to global possibilities too. With impressive views of Mt. Rainier and Elliot Bay this high-rise building is in the heart of Seattle's central business district allowing for great access to public transport and thus the whole of the city. The fully furnished office space is complemented by open plan spaces, secure on-site parking and showering facilities. The regional transport links are also highly convenient and offer frequent connections to the area beyond. This exceptionally well equipped and contemporary corporate working environment is a premium standard and highly prestigious commercial establishment, offering prospective tenants with a range of excellent professional services and corporate facilities as standard; including spacious meeting rooms, dedicated corporate telephony, high speed internet connectivity and much more. The site is also easily accessible from all parts of the region. Combining this building"s historic feel with a modern, innovative vibe the spacious workspace on offer at this center offers a variety of collaborative break-out areas, private offices, phone booths and private meeting and conference rooms in the heart of Downtown Seattle, just a few blocks away from Pioneer Square. This center is dog friendly which is a great way to make new connections within the space and enjoy working alongside your best friend. There is definitely an option here to meet your unique business needs. Opening soon this center is located within a landmark 20-story tower in the heart of downtown Seattle. There is a coffee shop on-site for convenience and good links to the rest of the city via the I-5 or the nearby streetcar station. Executive suites to let at this central business location in Seattle close to the convention centre. Lots of nearby shopping, restaurants and banking amenities with many fine upscale hotels nearby. Offices offer fantastic views with 4 conference rooms able to handle large groups. Great support amenities also offered. All ideally set within simple walking distance of Capitol Hill and Lake Union, this modern and strikingly supplied professional workspace solutions provider is a fantastic option for those working professionals in search of premium standard and state of the art office suites and technologically innovative facilities and equipment. An outdoor breakout terrace offers beautiful city views and an ideal space to hold informal meetings.